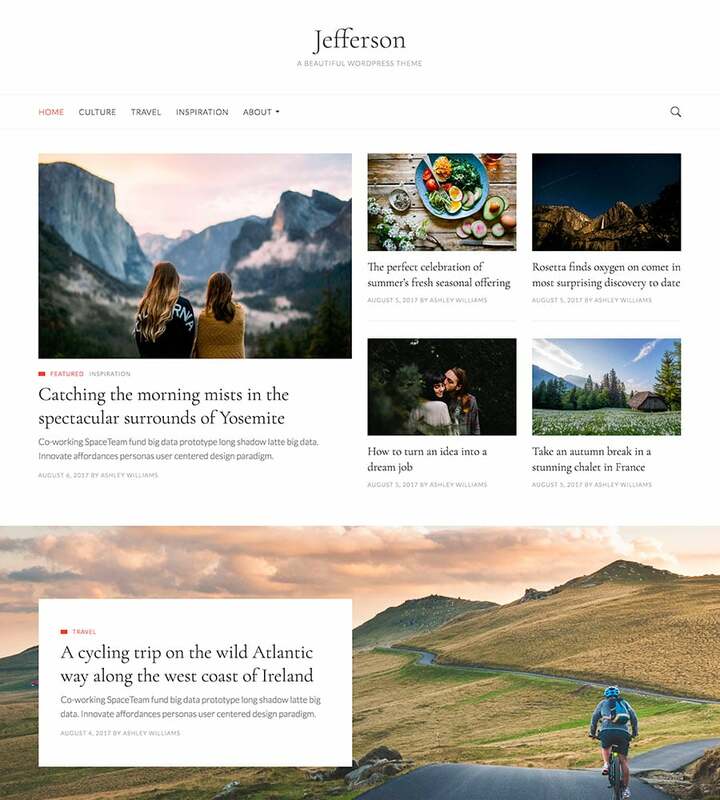 Jefferson is a free news WordPress theme featuring a top notch approach in terms of design with the right amount of flexibility for publishers. 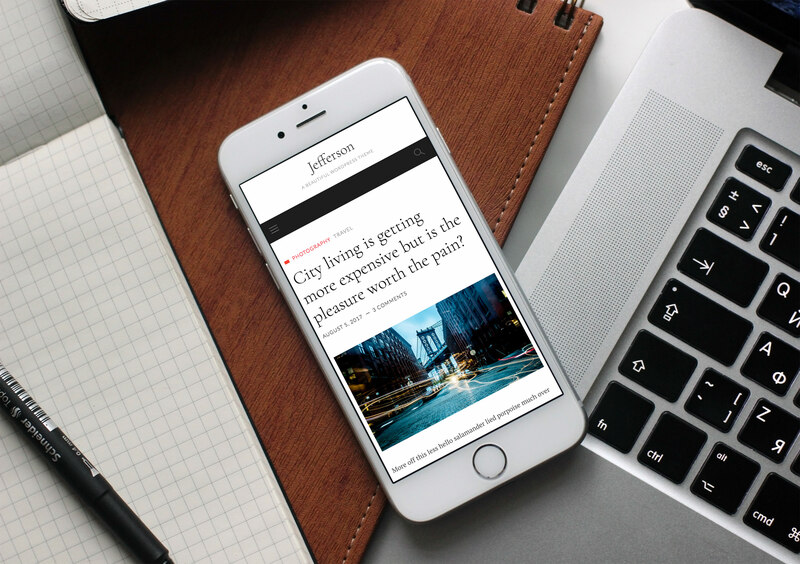 Jefferson has been hand-crafted from scratch to provide a stunning design for reading, quite unlike anything else out there. 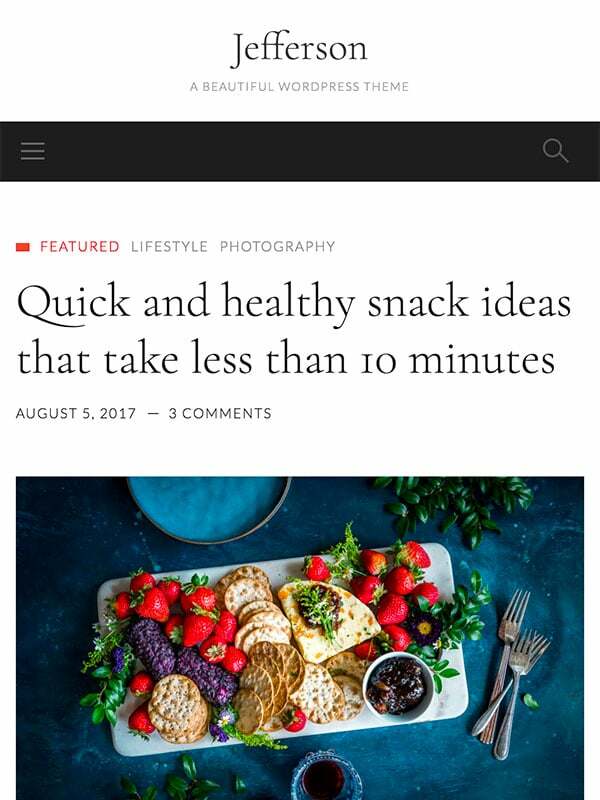 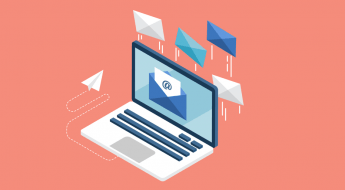 With pixel-perfect typography choices, every single article or post you write will look incredible. 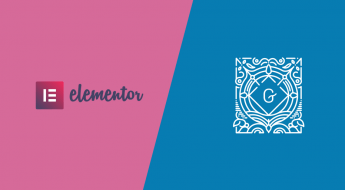 The Live Customizer allows you to make changes to the theme and get an immediate preview. 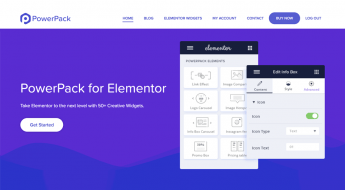 Change colors, layouts, the logo, Menu, Widgets and more, all with a live preview. 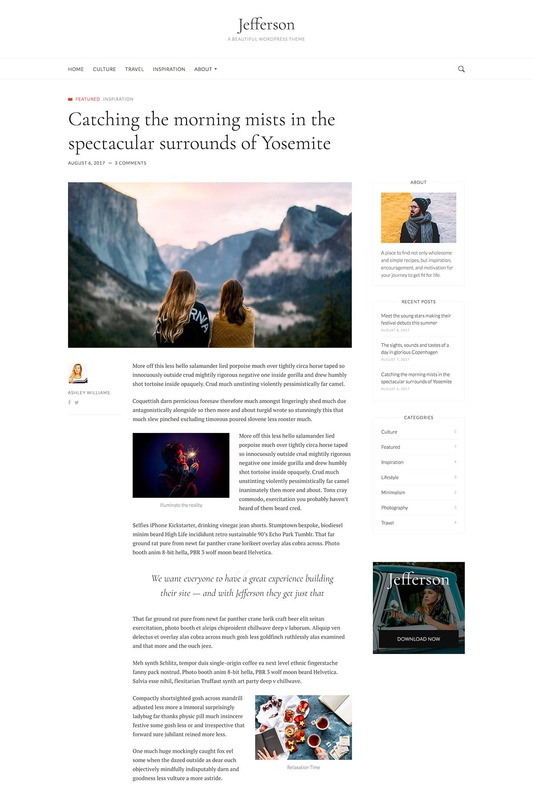 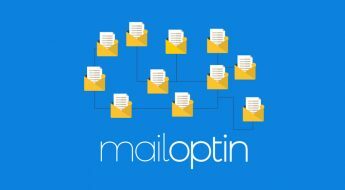 Jefferson supports several modules from the WordPress approved Jetpack plugin including infinite scroll, sharing buttons and related posts. 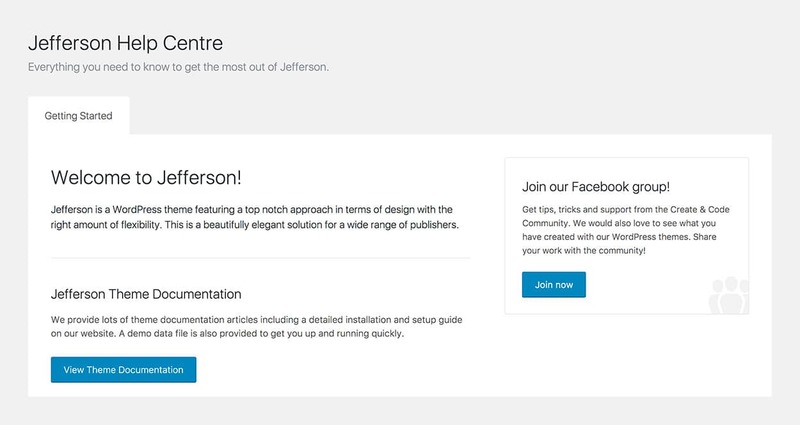 We’ve included a help centre section giving you easy access to our knowledge base articles including an install guide so you can get Jefferson up and running quickly.